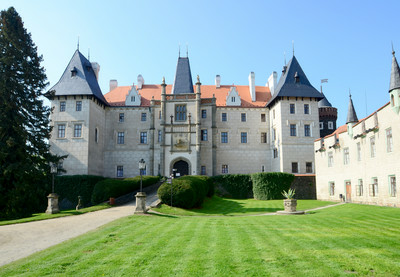 One of the largest Czech castles, founded in the early 14th century by the powerful lords of Lichtemburk. In the 16th century it was converted into an imposing Late Gothic noble residence. The dilapidated castle burned down in 1869 and was partially renovated in the 20th century. The writer Jaroslav Hašek used to conduct tours of the castle.